Launching SA Water’s First Digital Strategy – Let's design a better future, together. 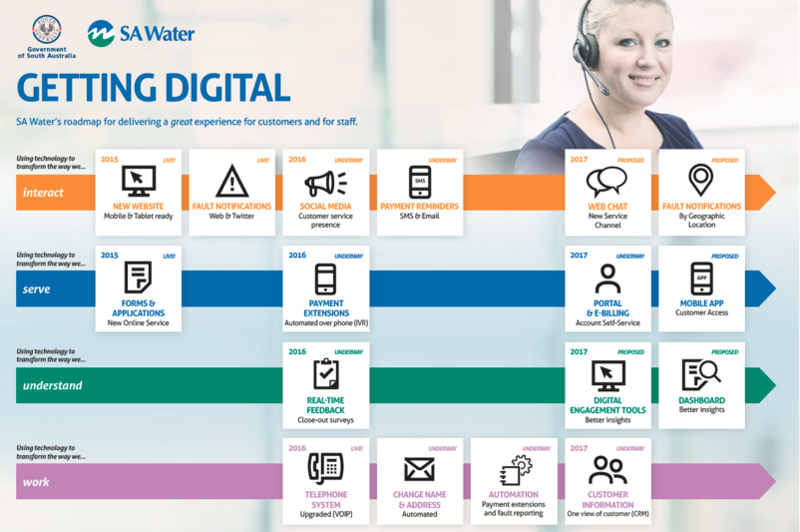 SA Water had been operating in South Australia for over 160 years and delivering customer service through traditional channels – face-to-face, phone and mail. 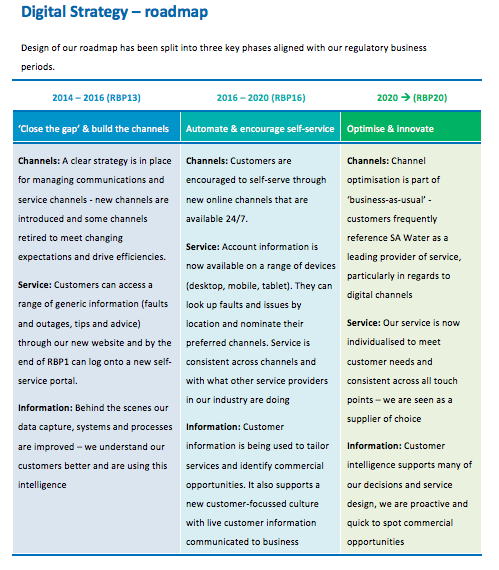 They needed a plan to transform services to better meet customer needs and expectations. They also needed it done quickly so that it would be part of the funding proposal for their first Regulatory Business Proposal. My task was to develop SA Water’s first digital strategy. – I delivered this, ahead of schedule, within six-months of commencing in the role. The development process included significant consultation with both internal and external stakeholders and a comprehensive international review of the water industry trends and practice. 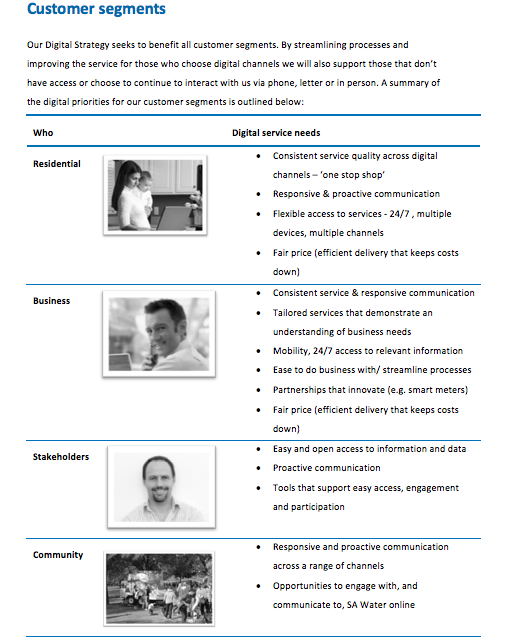 The final strategy included a roadmap to 2020, three strategic focus areas and a series of priority projects to transform customer experience across digital channels. Projects included redevelopment of the SA Water website, new faults notification and online account management services and a new channel strategy (which I also developed). SA Water’s Digital Strategy was both one of the first delivered by a South Australian Government Agency and by an Australian Water Utility. It was promoted by the South Australian Government as an example of best practice to encourage other agencies to develop their own plans. The strategy and proposal was submitted as part of SA Water’s first Regulatory Business Proposal and was successfully funded – it continues to be delivered today and has fundamentally changed the way SA Water delivers service to its customers. Mostly it delivered a clear plan that was accessible to the business, easy to follow and which galvanised support at an executive level to drive change across the business.